A team of researchers from the Wellcome Trust-Medical Research Council Cambridge Stem Cell Institute, the University of Cambridge and BRIC, at the University of Copenhagen, Denmark have identified a source of gut stem cells that has the potential to treat a type of inflammatory bowel disease when transplanted into mice. The researchers say that their findings may pave the way for patient-specific regenerative therapies for inflammatory bowel diseases such as ulcerative colitis. All tissues in our body contain specialised stem cells, which are responsible for the lifelong maintenance of the individual tissue and organ. 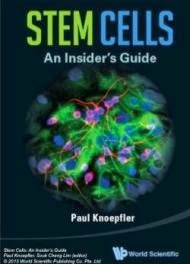 Stem cells found in adults are restricted to their tissue of origin, for instance, stem cells found in the gut will be able to contribute to the replenishment of the gut whereas stem cells in the skin will only contribute to maintenance of the skin. "We found that the cells formed a living plaster over the damaged gut. They seemed to respond to the environment they had been placed in and matured accordingly to repair the damage. One of the risks of stem cell transplants like this is that the cells will continue to expand and form a tumour, but we didn't see any evidence of that with this immature stem cell population from the gut." said Dr Kim Jensen, a Wellcome Trust researcher and Lundbeckfoundation fellow and also leader of the study. Cells with similar characteristics were isolated from both mice and humans and the team were also able to generate similar cells by reprogramming adult human cells, so called induced Pluripotent Stem Cells (iPSCs), and growing them in the appropriate conditions. "We've identified a source of gut stem cells that can be easily expanded in the laboratory, which could have huge implications for treating human inflammatory bowel diseases. The next step will be to see whether the human cells behave in the same way in the mouse transplant system and then we can consider investigating their use in patients," added Dr Jensen.